The Minister of finance, Zainab Ahmed, told Lawmakers in Abuja that the federal government has concluded plans to increase revenue by introducing new taxes. The minister also said the federal government has devised a new revenue initiative to increase revenue to fund the 2019 budget. “We will be working with the National Assembly to amend some laws and we might be using some executive orders.” Although Mrs Ahmed did not state the details of the new taxes. Mrs Ahmed said the third thematic area is achieving cohesion in the revenue ecosystem. 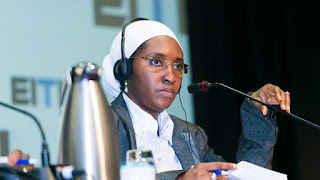 She noted that the federal government is making efforts to ensure that the performance of the 2019 budget exceeds that of 2018.